Today I've got swatches of my picks from the Anna Gorelova collection by Dance Legend. These polishes were created in a collaboration with photographer and blogger Anna, who is well known for the most to die for nail photography! You'll get lost in her blog for hours looking at the pictures! The packaging of these polishes is just adorable - owls on the bottles and boxes (I'm owl mad, they're everywhere in my house) they're up there with my favourite bottles ever! I chose Siren and Bogeyman to swatch, and my bottles came with matching chunky cabochon rings (I'm not sure whether you get them with every purchase) which are beautiful and I've been wearing them quite a lot! Sirin is a turquoise/blue duochrome with iridescent particles running through. This has such a pretty colour shift and the glitter really compliments it. This is minimal on the brush strokes and perfect in 3 thin coats. Bogeyman is a dark brown/black base with pink and green shimmer and larger gold flakies. I found this one quite difficult to capture properly, my camera didn't like it! This is such a complex and unusual shade, I really like it. It dries down to a matte finish, I used 3 coats. I added top coat to see what it's like with a glossy finish, and it brought out the pink and green shimmer. It's beautiful glossy, but I think I prefer matte! Which one do you prefer? Bogeyman has my heart here! 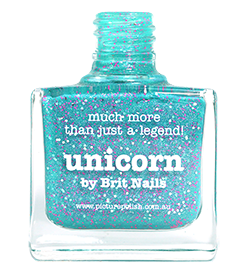 - Dance Legend is available in the UK from Rainbow Connection, although these shades are not currently in stock. Looove the brush photos! And Siren and your swatches took my breath away, simply stunning polish! Such pretty polishes! I like the added rings and the flakes in the polishes. Yum. Bogeyman isn't my favourite on this one (I blame Summer), 'cause Sirin totally stole the whole stage - absolutely stunning, as all your photos on this one! Stunning swatches Allie! 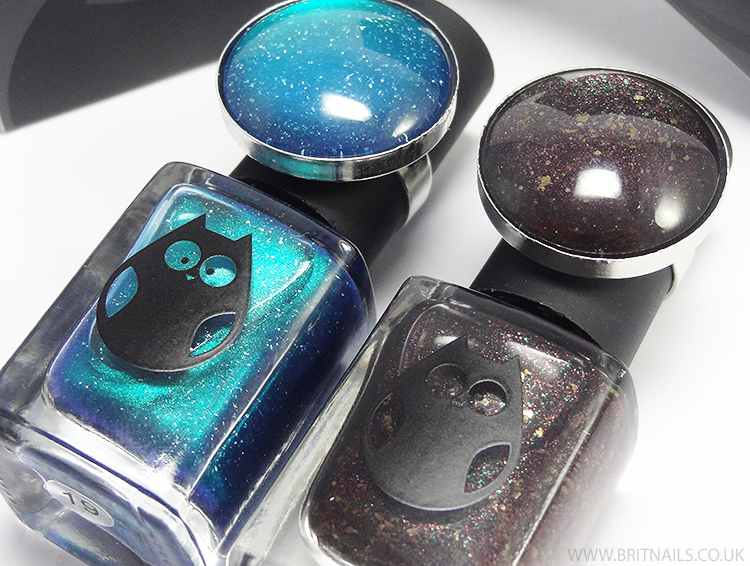 I love Sirin on you and I totally agree these are the cutest polishes ever. I love the little owls! These are both gorgeous and you captured them beautifully. I don't think Dance Legend or Anna Gorelova can do anything that isn't gorgeous! I love that close-up of the matte Bogeyman, you can see every bit of goodness in it <3. Wow I love Siring. I think Bogeyman looks better when it's not matte but that's just my opinion. Gorgeous swatches as always! Two more great polishes from Anna <3 I have to say I prefer Bogeyman with a shiny finish, it has more depth. Love your bottle shots!